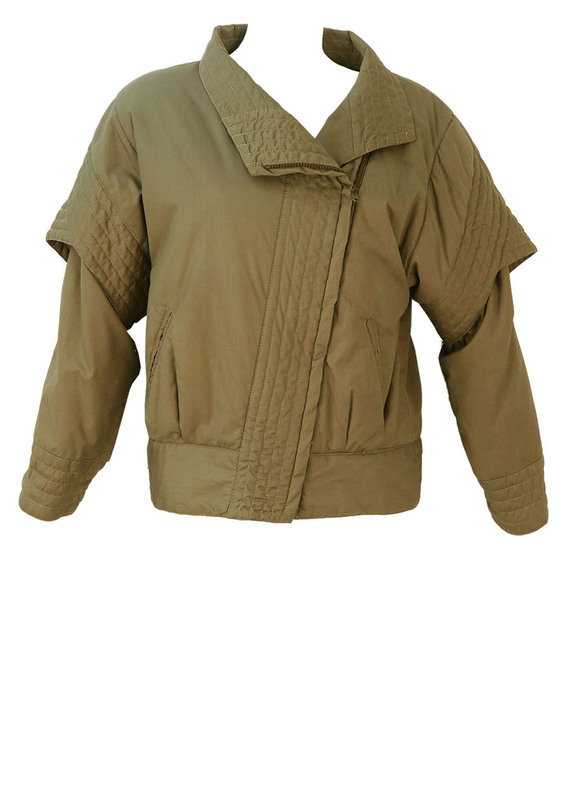 Lightly padded, taupe jacket with some great design touches that include eye catching layered sleeve detail, bold stitched piping and an asymmetric zip fastening concealed beneath the fabric. 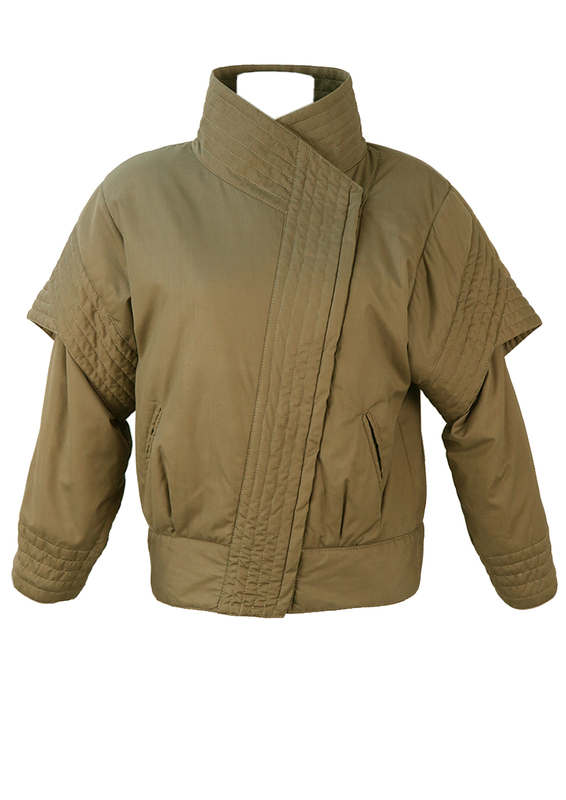 The jacket is fully lined and although there is no fabric label, it has a cotton feel to it. 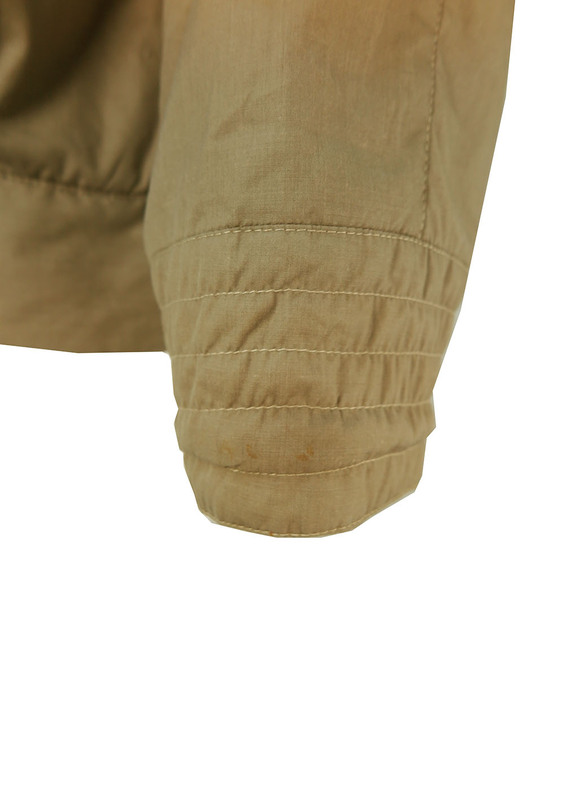 There is some very minor wear to the fabric in parts which is barely visible & a small part of the stitching has come away at the back of the neck . 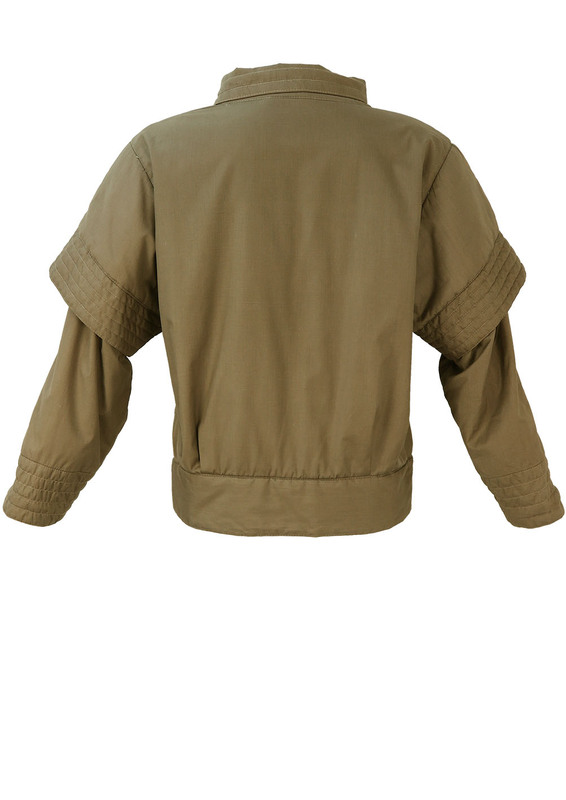 We have reduced the price of the jacket to reflect this.